Summer vacation just past its half way point here, and I cannot believe how quickly the days are slipping away. We’ve been busy taking it easy, enjoying some sunshine and, truth be told, enjoying not having to go anywhere first thing in the morning. But, with the half way mark past, I know it is time to start getting back into our groove. Slowly, to be sure, but none the less, the carefree days and evenings are coming to a close. That’s where my new half size planner printables will come in handy. I’ve been working on them for a little while now. 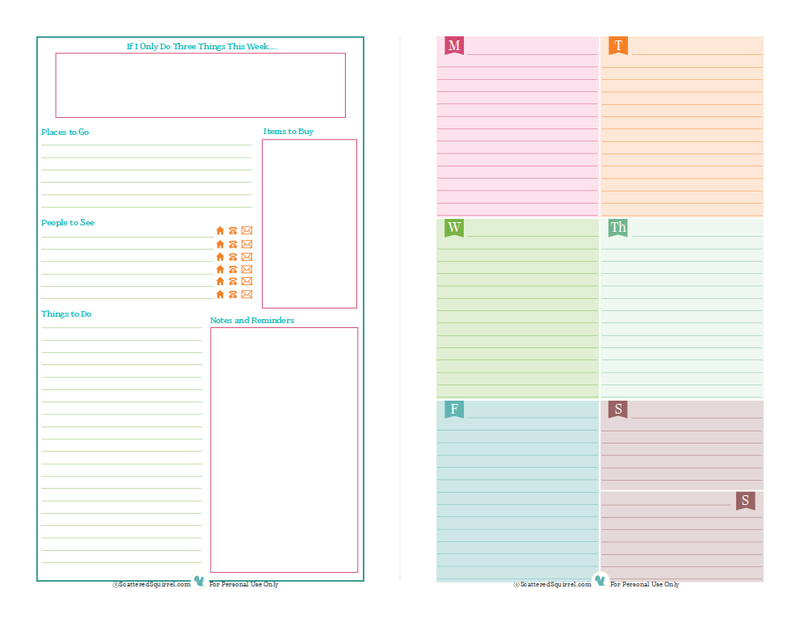 Unlike a full size planner page, half sized ones need a little more thought. There isn’t as much space to work with, so the layouts needed a little tweaking and tailoring to their new size. And here they are. 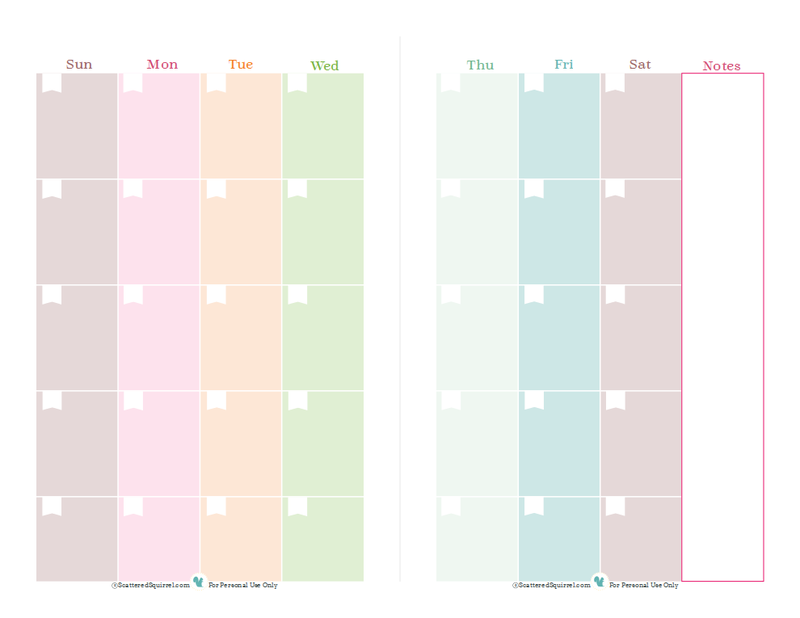 I really liked my other weekly overview printable from this post here, and my first though was just to shrink it. 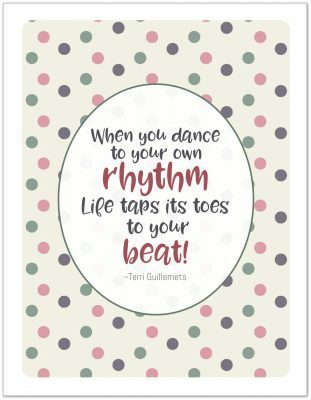 However, when I went back over my notes about things I would add or change to make that other printable work better, I realized that I wanted to add to it. Though I did try shrinking it at first, it was just too squishy for me. I like room to write, and ideally, I would like it to be easy to see what I’ve written. The above planner pages were the result. There are just a couple items I wanted to mention. First up, I added a spot at the top of the overview page. The “If I Only do Three Things This Week…” space is for writing down the top three things on my to do list. Three is an easy number, and I think it is a manageable goal to work towards. This space is a reminder that everything has a priority, and that there are always things that can wait if need be. I’m trying to stop overwhelming myself with my to do lists, yet still get things done, and I really think that this is going to help. The next item I wanted to mention was the little icons beside the “People to See” lines. In an effort to conserve space, I opted for little icons for home, phone and email. This way I can just jot down a name and the day and circle whether I need to call, email or stop by. Simple, quick and easy. As you may have noticed, these planner pages got a little more color than my usual ones. There were two reasons for this. The first being that I love color, and summer time tends to bring out that love even more. The second reason was that I wanted a way to visually connect the weekly planner pages to the monthly calendar pages. So what do you think? When it comes to the weekly planner page, would anyone like to have the option of having just one or the other instead of both? As a;ways, just click on the picture to grab your own copy. Is there any way to get the day by day note portion on the weekly scheduler on it’s own sheet so that there are two copies of it on the same page? I use it for my weekly journal and don’t really have use for the left side. If not, I can try to scan it so it’s on one sheet but I would love to get the pdf of it. Thanks so much!!! I really love your sheets! I can look into doing that, I’ll add it to my reader request list and see what I can come up with. I love, love these colors! I would use every single one of your printables if they all came this color and half size! Thank you! I’m happy to hear you like the colours on these ones Sara. I’m working on adding in more colours and I’m hoping to add to the ones using these colours too. I think they print nicely for both colour and black and white, so stay tuned.